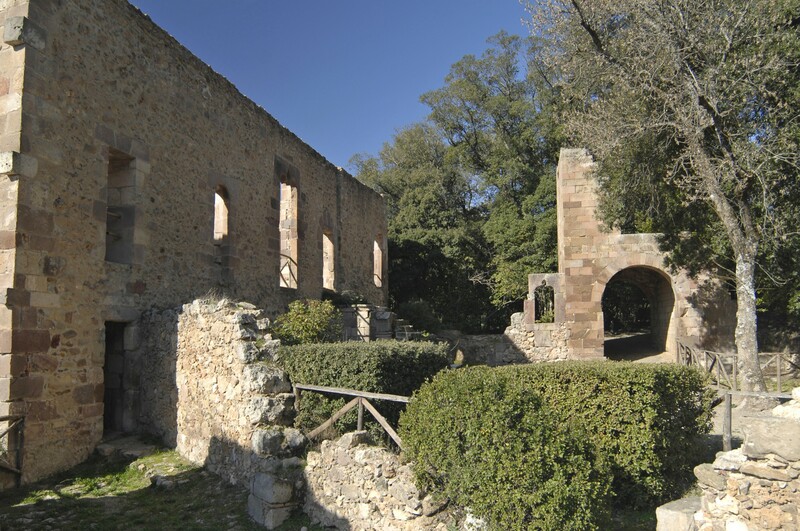 There is a place in the historical Sarcidano area where you can go on lovely walks over nature trails surrounded by countless plant species and medieval ruins: the Ayermich Park, a 22 hectare oasis that until 1990 was the property of marquises, the feudal owners of this stretch of land. The creator of this natural reserve was Don Ignazio Ayermich Ripoli, a botanist, who, starting in the mid-1800s, brought rare plants back with him from his many trips abroad. It’s an unusual excursion because it is nestled in the heart of a town, Laconi, some 60 km from Oristano and 90 from Cagliari. The walk takes you along lanes graced with a fresh and lively atmosphere. It starts out in a woods of oak trees, olive groves and locust trees dotted with natural pools, streams, waterfalls and ponds. As you get deeper into the park you’ll see a wide variety of orchids, including autochthonous ones like ophris laconensis and sarcidanis. Among the treed lanes are unusual shapes of vegetation, like the pyracantha coccinea and collectia cruciata, whose leaves resemble military aircraft, as well as exotic plants like the majestic Cedar of Lebanon and of the Himalayas, trees of extraordinary size. Then there are plants from not wo far away, yet not common, like the Corsican Pine, fagus sylvatica, southern magnolia and taxus baccata, known as the “tree of death.” Water is a recurring theme and life source of the park, running in abundance all year round, creating rivers that then fall, like the cascata maggiore, or “big falls,” one of the many attractions of the park. As you walk along the paths, the natural beauty suddenly gives way to fascinating historical remains: you’ll see the ruins of a medieval castle built in the XIII century to keep an eye on the border between the guidicato of Arborea and that of Cagliari. It was also claimed by each of those governments. Its main tower is of Spanish origin and was turned into a prison in the XVIII century. It’s a two storey rectangular building with an arched entranceway graced with a barrel vaulted ceiling that leads to a spacious courtyard. The building’s doors and windows are embellished with elegant Catalan-Gothic frames. A portico leads to a 35 m long room divided into various spaces. The aristocratic residents lived on the upper floor, the servants on the lower. 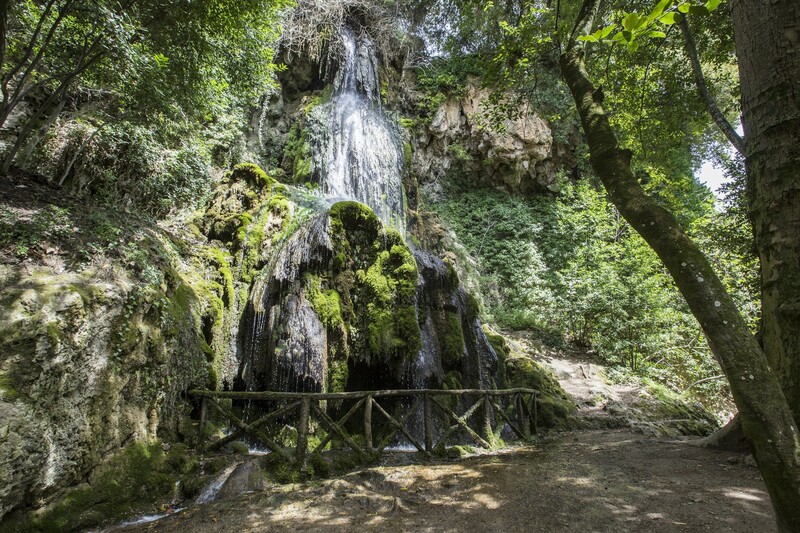 When here, don’t miss the chance to visit the grottoes used as bomb shelters during the Second World War. The Aymerichs are also to be thanked for the architectural gem in the centre of town that was the last residence of the marquises. 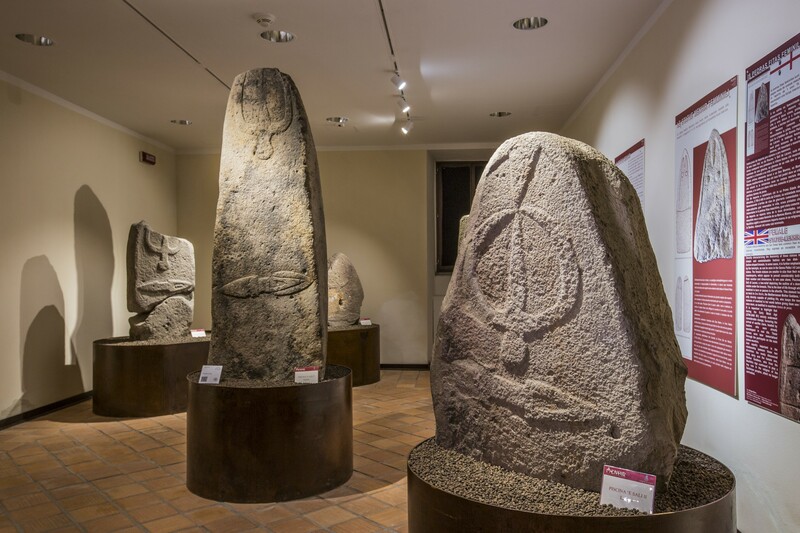 The XIX century Palazzo Aymerich is now home to the Museum of Prehistoric Sardinian Statues, with an rare and extensive collection of menhir from all over the island and various relics from the many pre-Nuragic megalithic necropoles that dot the Sarcidano region. 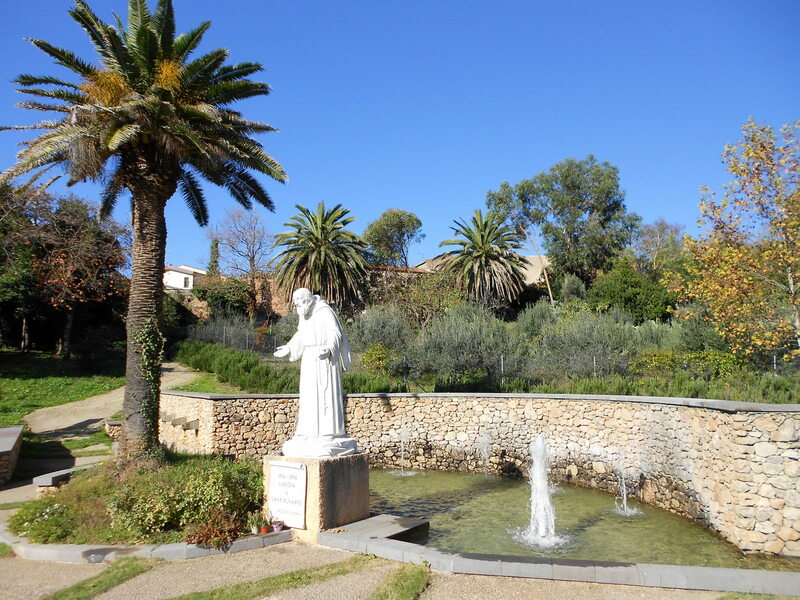 When you have finished your naturalistic and archaeological tour of the park, you can go enjoy a Franciscan spiritual experience in the town that was the birthplace of Saint Ignazio, starting with the house he was born in and the museum dedicated to him. Laconi is reached by leaving the main Sardinian road artery, the SS 131, at the junction of Villasanta and taking the SS 197 towards Barumini. at Nurallao, turn onto the SS 128 towards Laconi. The Park is accessed by via del Parco.